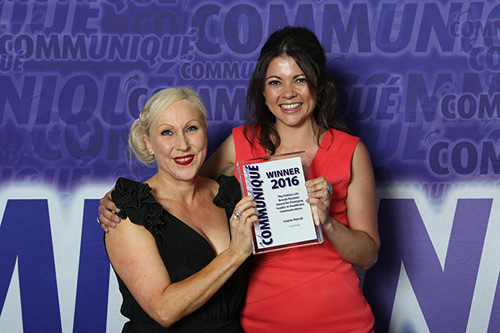 The Publicis Life Brands Resolute award for Emerging Leader in Healthcare Communications was presented to Lucid Group's Louise Verrall at the 2016 Communiqué awards ceremony in London last week. Verrall was described as “extremely impressive” by the Communiqué judges, both for her entrepreneurial spirit and her talented leadership. The judges said: “Having made a great transition from the academic to the commercial world, she's demonstrated an ideal balance of intelligence and the ability to apply her skills, both inherent and learned, to great effect achieving phenomenal business growth. Verrall, currently a business unit director at Lucid, has spent three and a half years at Buckinghamshire, UK-headquartered medical education agency, having previously served as a medical writer at Oxford PharmaGenesis and a lecturer in neuroscience at the University of Oxford. Last year, Verrall led her team to quintuple its financial growth, building the unit up from around £400,000 to nearly £2m over a 12-month period.